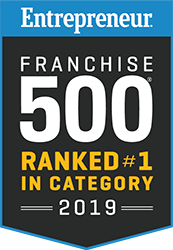 Founded in 1969, the Jellystone Park™ system has grown to include over 80 locations in the US and Canada, making it the second largest campground franchise in the country. 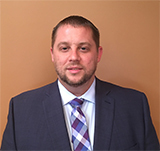 Although the Jellystone Park franchise is now a thriving business and continues to open new locations, it had humble beginnings in a small Wisconsin town. 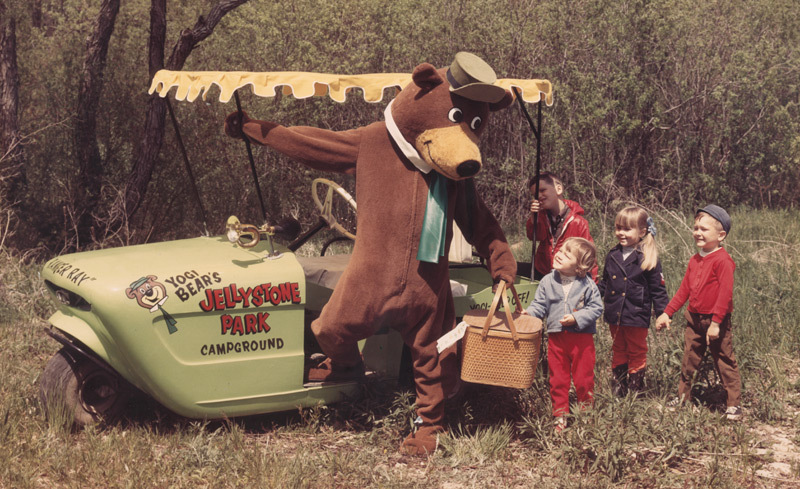 Like many business ventures, Yogi Bear’s Jellystone Parks began with one man, an idea and enough gumption to take a risk. Doug Haag, of Manitowoc, Wisconsin, was already a successful advertising executive in the summer of 1968 when a drive down the local highway changed his future. 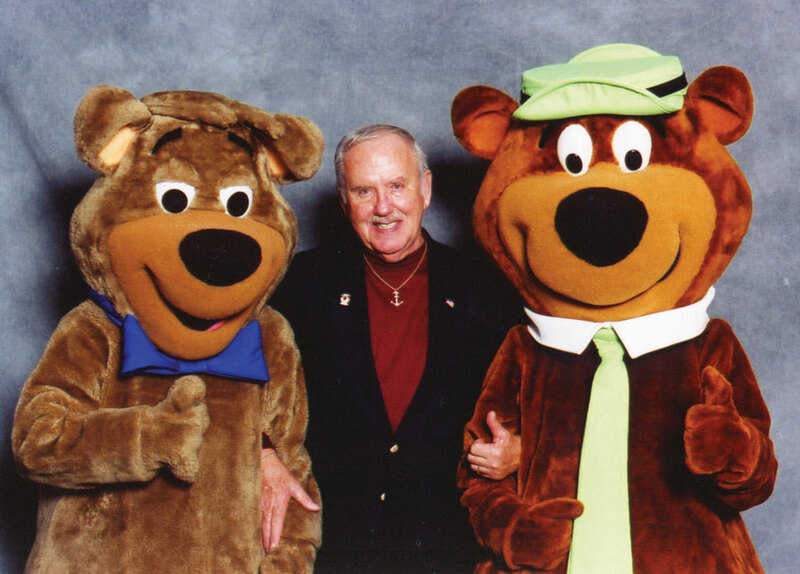 Then on a cold Saturday morning in January of 1969, Haag’s three young kids were watching cartoons in another room and he heard these words coming from the TV, “OK Boo Boo, let’s get our pic-a-nic baskets ready, the campers are coming!” A beloved cartoon character, Yogi Bear, living in a campground called Jellystone Park… what a great fit for a family vacation spot! Considering Yogi Bear was a famous and well-protected copyright, Haag had more work to do. He made an appointment with the Vice President of Screen Gems, then licensor of the Yogi Bear and Jellystone Park names. He traveled to their New York City office and presented his campground concept with a few hand-drawn sketches and a lot of enthusiasm. 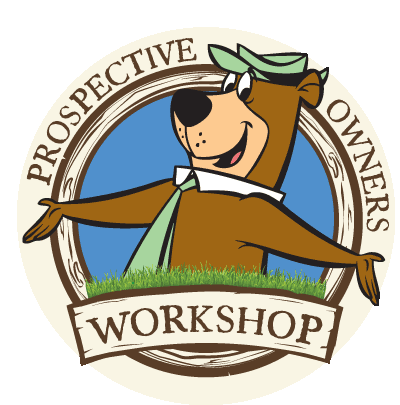 With some persuasion, Screen Gems saw the value of Yogi Bear’s Jellystone Park and approved the license. The rest of the winter was spent making signs, building a Yogi statue (out of chicken wire and plaster), and creating park literature. Haag met with the president of Hardees, a fast food chain, and purchased left-over Yogi Bear merchandise that was used for a chicken promotion. Construction on the park began in April 1969, and only three months later the pilot Jellystone Park opened to much fanfare. “There was no way we could have imagined the chaos that was to happen that opening weekend. Three times as many people as we had sites for came to camp! We allowed them to set up in the field nearby, in the playground, etc. – anywhere they could find room!” It was $3.50 to camp and included all the amenities – swimming pool (Yogi’s Old Swimming Hole), fishing pond and playground. Two more parks opened in 1969 and 1970, one in Orlando and one in California. 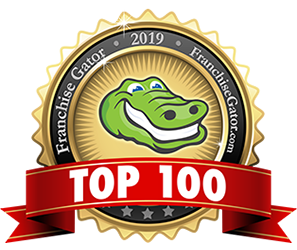 Others followed quickly, in Orlando, Wisconsin Dells, Apple Valley (near Los Angelas), Apopka, Florida and Glenbeula, Wisconsin. The demand kept increasing and even Hollywood wanted to get involved. “Because of the powerful Yogi Bear name, I met with movie stars and their agents about them owning one or more franchises. Business lunches with John Wayne, Andy Williams, Jack Lemon, The Smothers Brothers, Don Wilson, and many more!” said Haag. By the end of 1971, there were 10 franchised Jellystone Parks in operation. 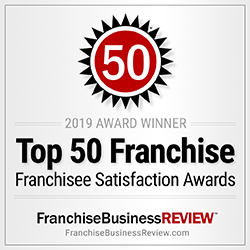 In 1974, Haag decided to move onto other business ventures and left Campgrounds Ltd. in the hands of Jim Webb, who continues to do consulting work for current franchisor, Leisure Systems Inc. Leisure Systems is owned by Park River Corporation, a privately held Cincinnati company.